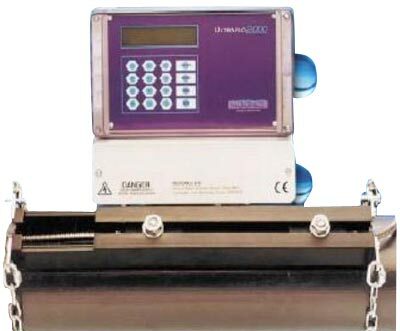 To determine the intensity of the fluids, our Ultrasonic Flow Meters are an ideal solution. They are in huge demand in the market owing to their excellent performance. It works with clamp on transducers that provide accurate measurement of flowing liquid within an enclosed pipe. Moreover, it requires no insertion of pipe as well as shut down time. Require selection of correct transducer and attaching them to the external side of the pipe wall by using the mounting hardware. The final set up operation can be achieved on the push button keypad, which only requires the knowledge of the pipe dimension and type of pipe wall material.